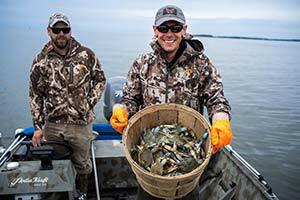 Watch "Meateater" weeknights on Sportsman Channel. 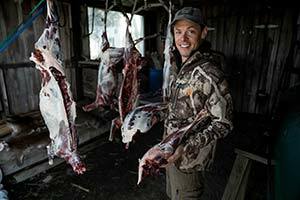 In MeatEater, Rinella will deconstruct and master any hunting technique; track and pursue prey; and procure his own food, which he will turn into a mouth-watering fireside meal. Far from trophy or sport hunting, Rinella stays true to our ancestral tradition of sustenance hunting. Nothing he harvests goes to waste. Whether tracking black tail deer in the remote Alaskan Wilderness, or rooting out javelina in Texas, Rinella will defer to his back-country roots, challenging himself at every corner while providing nail biting adventure along the way. In MeatEater, author hunter and outdoorsman Steven Rinella will walk on the wild side where cliffs, claws and the culinary art all come crashing together in one nail-biting outdoors adventure.